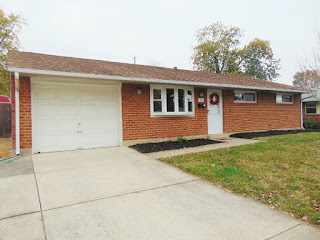 BRICK RANCH HOME IN HUBER! This home is light, bright, and neutral throughout. Cosmetic updating has been done for you…just move right in! One floor living with open Family Room and Kitchen. Home features Sunroom addition and attached garage. Updates: newer roof, windows, flooring, lighting & more! The outdoor space offers a spacious backyard, paver patio and large shed (perfect for storage). This won't last long - see it today! 3 BRs & 1 Full Bath. Nearly 1,100 SF! Reynoldsburg schools. Only $107,500! Call DeLena today!